Beautiful & stylish townhome in Kitsilano. This home features built in cabinetry, beautiful grey tone laminate floors, Ledgestone gas F/P, indoor heating & private gated entrance. Floor plan offers spacious living room w/adjoining dining room. Deluxe GOURMET kitchen w/quartz counters, stainless steel appliance & window seat to enjoy your morning coffee. Murphy bed converts to desk - great for guests. Master bedroom w/walk-in closet & ensuite. BBQ on your own deck overlooking the cherry blossom trees. Wonderful mountain view. Guest suite in building available $25/night. 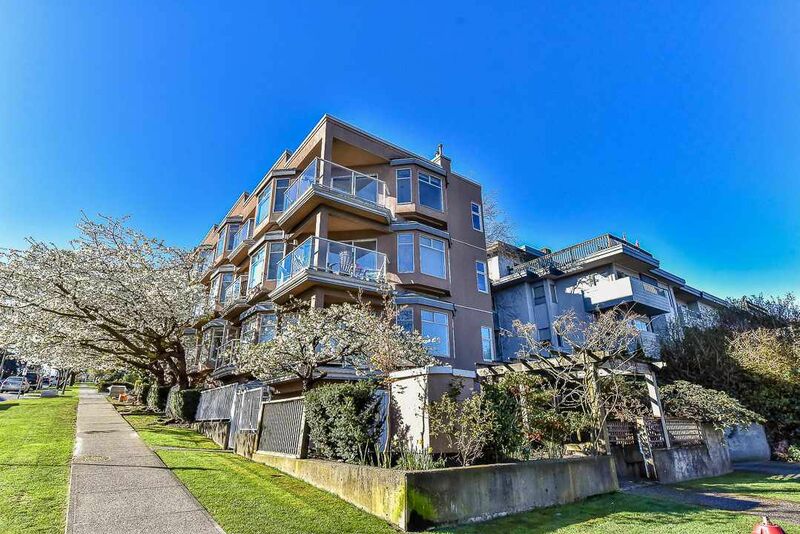 Within walking distance to maritime, seawall, Kits beach, trendy cafes & shops on W 4th Ave & off leash dog park. Call today!